This stunning Upload of Gomo Chair Chair will be presented in 2015’s edition of Portojóia. Alcino Silversmith since 1902 under the theme “Adamastor”. 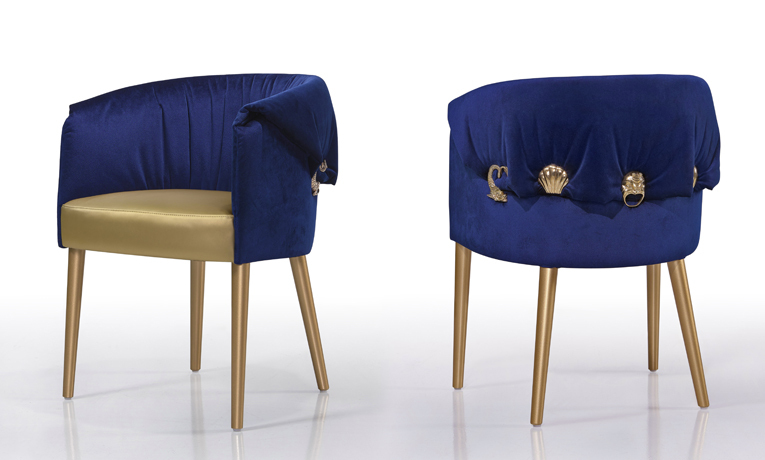 Made in beech wood, finished with a special Golden color and encrusted with Silver Pieces in the Velvet upholstery.